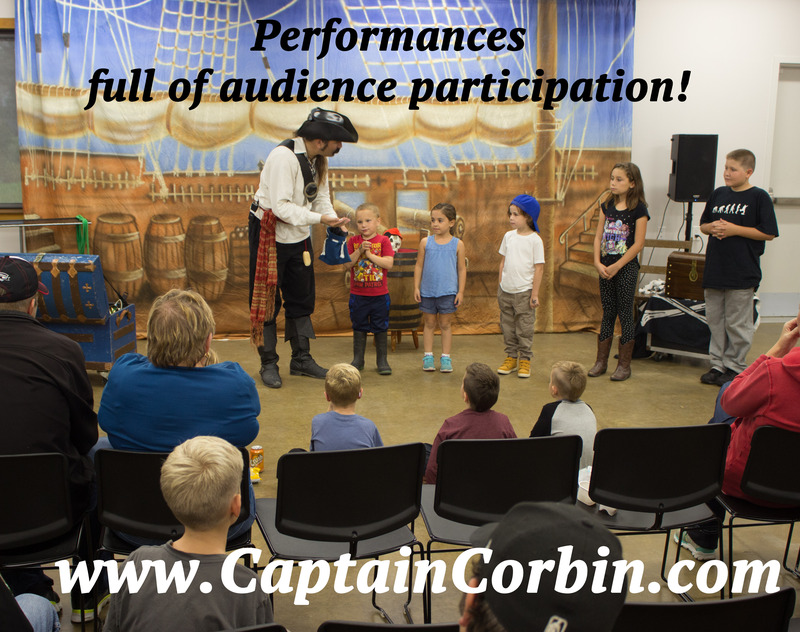 I am Captain Corbin the magic pirate and I perform interactive pirate adventure shows all over North America. My shows are always family friendly, fun and full of mind bending magic. Therefore they are perfect for almost any event. At fairs, festivals, schools, libraries or private parties. A pirate themed magic show is always a popular presentation at parties. As a result, I’ve become very busy, touring all over North America. My shows are always family friendly and entertaining to all ages. In every show there is something for the children and the adults. I customize each presentation to suit the age group of the audience present. However even with the show directed towards the children, I bring adults into the show and have them take part. As a result the children become very interested. The Children really become involved in my show. Many will come onstage to assist with the magic. Often as Captain Corbin the magic just does not work for me, but the child assistant always becomes the hero. Therefore all my helpers feel special. Boys and girls all become special helpers. Therefore, the show begins and onstage I provide children with their pirate names. Often the girls wish to become princesses. As a result, us pirates are tasked with protecting them! (and whatever treasures they may have ) I’ve also on occasion turned boys into little princes and the like. The children are the stars of my shows and they always feel that way. At the end of my shows I stick around to meet and greet with all the children, often taking pictures with them. 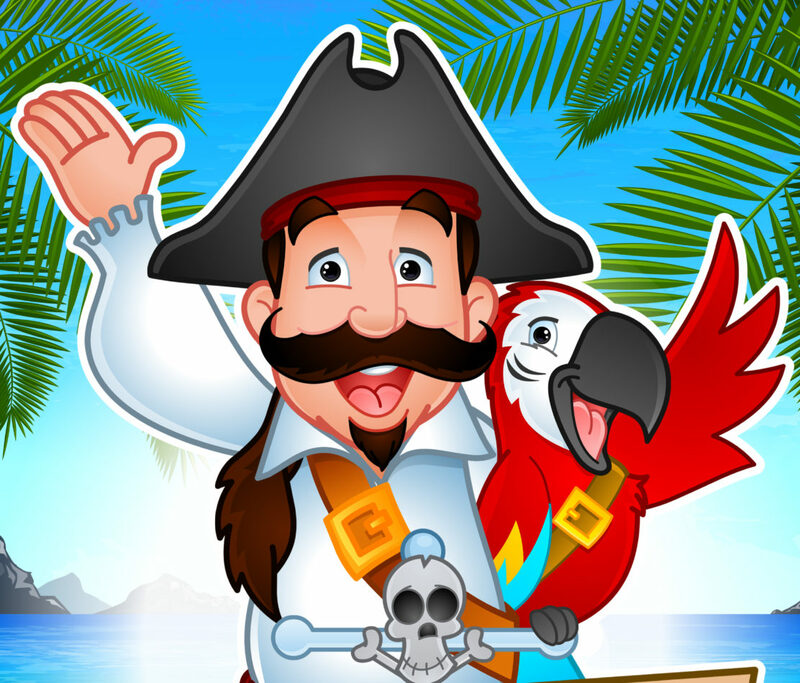 My interactive pirate adventure shows are full of magic, treasure and fun. The shows usually last for about 45 minutes long, although custom presentations are available. Full of incredible magic, each show is very different. Every week throughout the summer you can find Captain Corbin performing shows at London’s amusement park Storybook gardens. To find out more about Captain Corbin and his current touring schedule including upcoming public events be sure to like him on facebook.